It was a momentous moment in the Middle East, a dangerous turning point fraught with uncertainty. On May 9, a day after the United States withdrew from the Iran nuclear agreement, Israeli Prime Minister Benjamin Netanyahu visited Moscow on one of his periodic trips to Russia to discuss current Middle Eastern issues with Russian President Vladimir Putin. 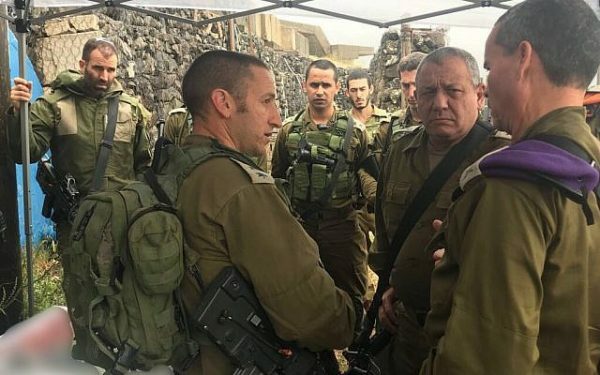 He was there to assess the latest situation in Syria, which is embroiled in a civil war and which is Israel’s hostile neighbor and Russia’s most important ally in the Arab world. In particular, he wanted to warn Putin of an impending Iranian retaliatory strike against Israel. 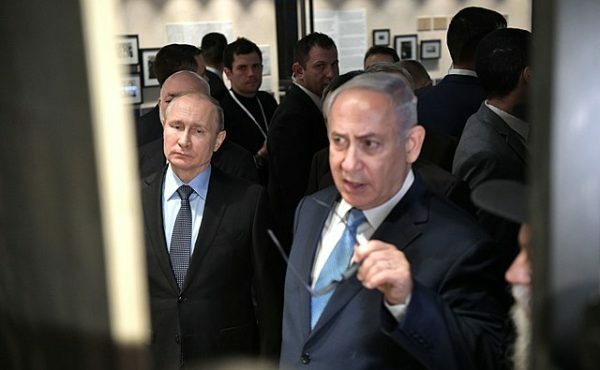 As he left Moscow, Netanyahu claimed that Russia would not try to constrain Israel’s freedom to fly combat missions in Syria, where Iran is entrenching itself militarily on the Syrian side of the Golan Heights, which Israel conquered in 1967 and annexed in 1981. Within hours of returning to Israel, the Iranians, as widely expected, struck. Iran’s Revolutionary Guards’ Quds Force, commanded by Qassem Soleimani, fired a barrage of 20 Grad and Fajr-5 missiles at Israeli military positions on the Golan, all of which were either intercepted or fell short of their targets. It was the first time that Iran, Israel’s deadliest enemy since the 1979 Iranian Islamic revolution, had directly attacked Israel. In its most intensive air raids conducted in Syria since the 1973 Yom Kippur War, the Israeli Air Force bombed Iranian bases throughout the country. According to Russia’s defence ministry, Israel threw 28 Israeli F-15 and F-16 jets into the mission. 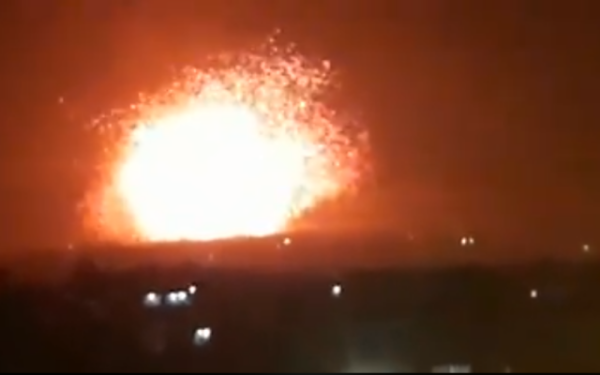 Israeli ground forces blasted the Iranians and Syrians with more than 10 ground-to-ground missiles, the Russians said. Israel carried out some 50 retaliatory raids against the Quds Force — weapons depots, storage facilities, intelligence centers, observation posts, and logistics centers. The rocket launcher involved in the initial attack was also destroyed. By Israel’s account, 23 Syrian, Iranian and foreign fighters were killed. Israel suffered no casualties. Israel also bombed Syrian air defence systems — SA-5, SA-2, SA-22 and SA-17 batteries — that had fired at Israeli planes. 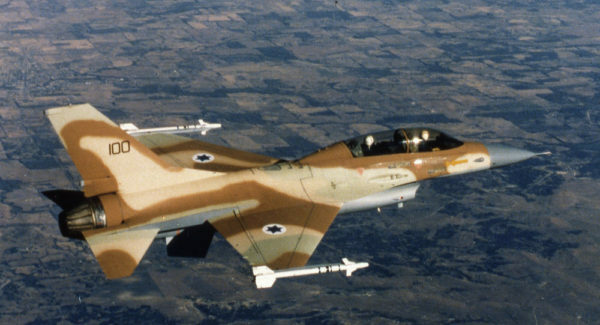 Israel had warned Syria not to get involved, but Syria fired at Israeli aircraft. 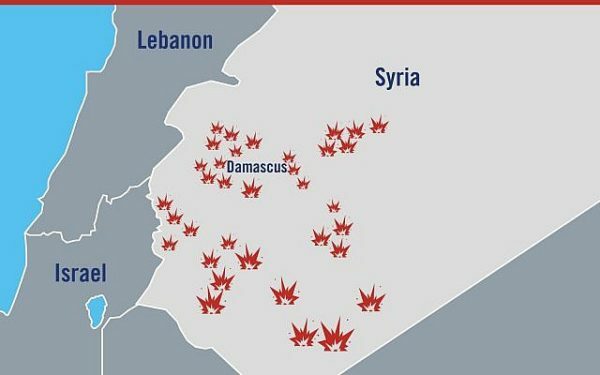 Syrian rebels reported that Israel bombed three Syrian airfields — the Shayrat air base, which was pummelled by the United States in 2017 for its role in a chemical attack in the town of Khan Shaykhun; the Tha’lah air base, which houses a Hezbollah base, and the Mezzeh air field, which is home to Syria’s Republican Guard. Liberman’s implicit message to Iran was that Israel would not make the same mistake in Syria as it did in Lebanon following the 2006 war. Hezbollah, which fired 4,000 rockets at Israel during that month-long war, subsequently rearmed and amassed an arsenal of 120,000 missiles. Israel, fearing a renewed conflict with Hezbollah, tacitly accepted the new situation. The latest outburst of cross-border fighting capped three months of mounting tension between Israel and Iran. On February 10, the Quds Force in Syria sent a drone into Israel, in the first incident of its kind. It was destroyed by an Israeli helicopter. Determined to teach Iran a lesson, Israel bombed the T-4 air base near Palmyra, from which the Iranian drone had been launched. En route to its base in Israel, an Israeli F-16 plane was downed by a Syrian missile, the first Israeli plane to be shot down in more than three decades. Israeli planes then bombed Syrian anti-aircraft batteries throughout Syria, destroying about one-third of them. On April 9, Israeli aircraft struck the T-4 base again, killing seven members of the Quds Force. Iran vowed revenge. On April 30, Israeli jets bombed an Iranian-controlled base in northern Syria, killing about two dozen Iranian soldiers. Israeli media reported on May 6 that Iran intended to retaliate by launching precision-guided missiles at Israeli military targets on the Golan. Iran’s army chief of staff, General Mohammad Bagheri, warned Israel on May 7 that Iran would retaliate. 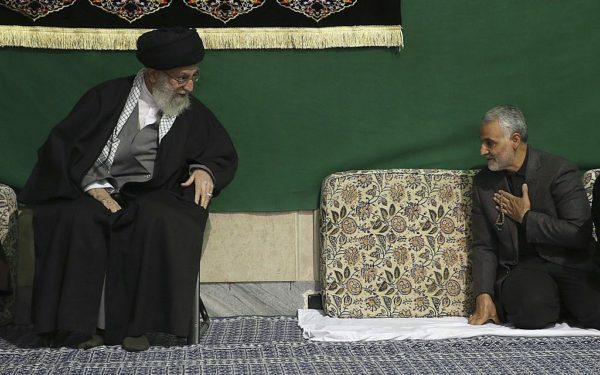 “If the enemy casts a covetous eye on our interests or conducts [even] a slight act of aggression, the Islamic Republic will give an appropriate response at an appropriate time,” he said. 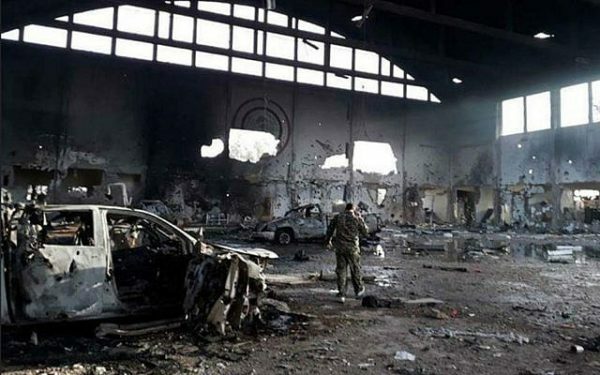 On May 8, Israeli aircraft hit an Iranian weapons warehouse near Damascus, only an hour after U.S. President Donald Trump announced he was pulling out of the nuclear agreement signed by Iran and the six major powers in 2015. The strike killed 15 people, at least eight of them Iranians, the Syrian Observatory for Human Rights said. Netanyahu and Liberman both made it clear they would not tolerate an Iranian attempt to build a military base in Syria. Last month, Liberman said that Israel was prepared to strike Iran itself. “If they attack Tel Aviv, we will strike Tehran,” he said. And that’s where matters stand as of today.